Click here to learn more about Angus Productions Inc. and the resources it offers. Want daily industry news and Angus advertisements? Resource for producers across the country who are affected by drought. Information about country-of-origin labeling, and what it means for cattlemen. Information on how to capture added value by setting higher quality and profit goals. A platform for global information sharing spanning the worldwide Angus industry. Perhaps the greatest single factor affecting your profitability as a beef producer. Use body condition scores (BCS) to improve herd nutrition and efficiency. Welcome to the first edition of Angus Beef Bulletin Extra. As publishers of Angus Beef Bulletin®, we at Angus Productions Inc. (API) join with the American Angus Association® and Certified Angus Beef LLC (CAB) to broaden our commitment to the commercial cattleman. 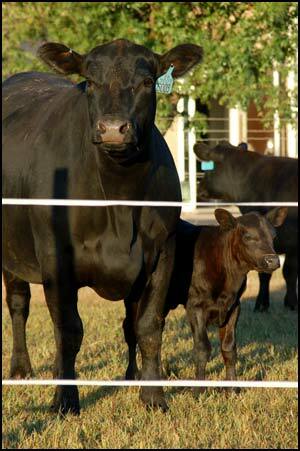 Click here to learn more about API’s newest e-mail news service, Angus Beef Bulletin Extra. Country-of-origin labeling (COOL) became mandatory Sept. 30, but it won’t be fully enforced with citations and fines until April 2009, according to the USDA. Click here to learn why, who it affects and how to become compliant. Visit our COOL topic site for the latest in COOL implementation, or click here for USDA’s frequently asked questions regarding the mandatory law. Printed versions of the recommended affidavits are also available here. John David is not big on words, just results. Those can speak volumes. That low-key, high-achievement approach resulted in the David Ranch feedlot winning a national honor from Certified Angus Beef LLC (CAB). Read more. Rising input costs seem to be of most concern to all producers in the beef industry. These input costs have had a dramatic effect on the cost to raise a calf. According to Cattle-Fax the cost to raise and finish a fed steer from 2005 compared to 2008 increased by $405 per head, or $32 per cwt. live or $50 per cwt. carcass weight or $0.72 per lb. retail. With all these changes in the marketplace, producers need to focus on adding value. This market gives commercial Angus producers more opportunity to differentiate their calves, add value and focus on genetics. Genetics are going to be a critical control point for profitability and allow producers to capture value. Placing more emphasis on genetics and the quality of cattle is going to sustain profitability when input costs keep rising. 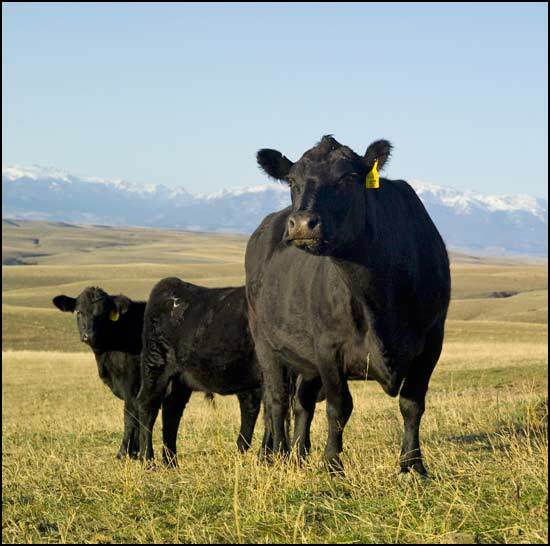 Utilizing selection tools from the American Angus Association will assist producers in making better decisions to stay profitable in these uncertain times. Several Oklahoma producers had cattle on display Thursday morning at the OSU Purebred Beef Center during the National Angus Conference and Tour. Angus breeders from across the country journeyed to the nation’s heartland of Oklahoma for this year’s National Angus Conference & Tour (NAC&T), appropriately themed “An Angus Gathering.”Sponsored by Purina Mills LLC and Alpharma Animal Health, the conference featured leading industry experts, followed by a tour featuring Oklahoma Angus operations. Click here for more detailed summaries, PowerPoints and audios for individual presentations, as well as photo galleries of the tour.